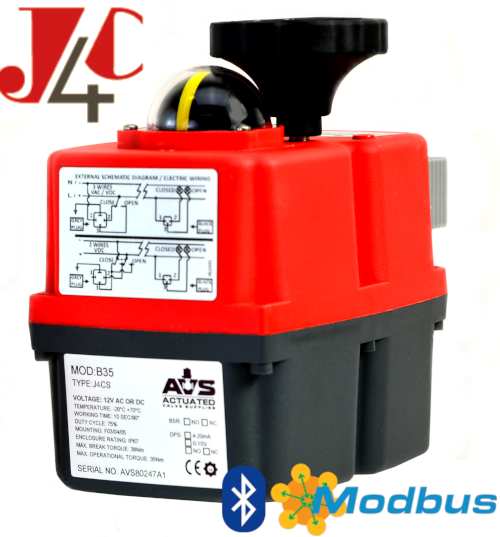 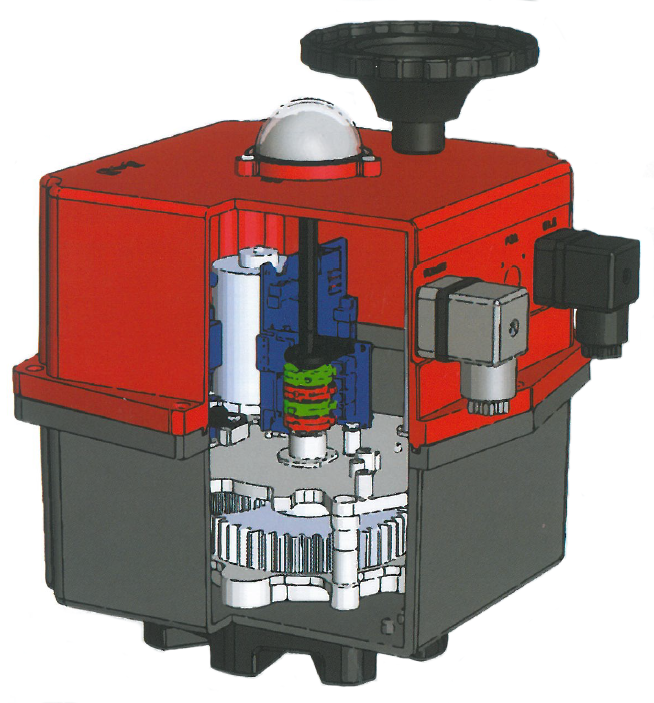 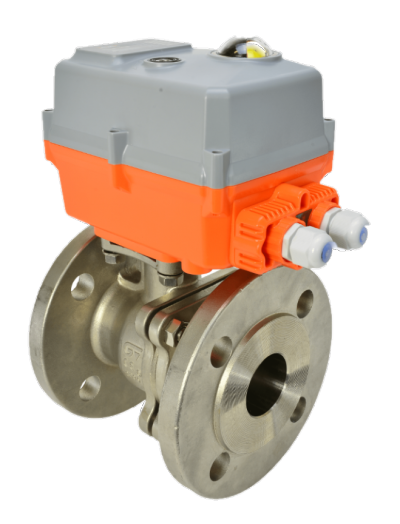 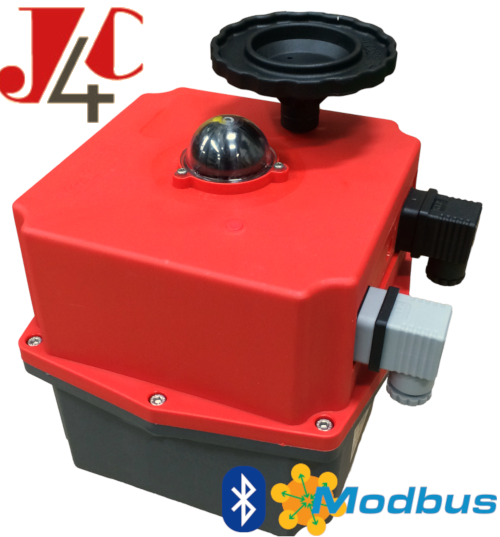 J+J’s J4C is a completely multi-voltage compact electrical actuator range for the control and regulation of valves. 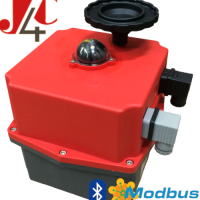 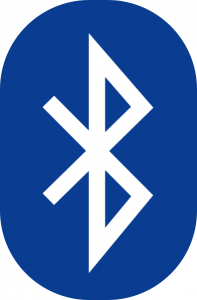 The J4C-S utilises a new brushless-motor drive design with a maximum break torque of 170Nm. 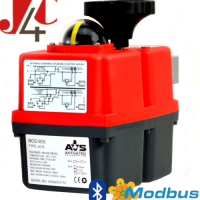 The actuator offers IP67 protection and comes with with a manual override, a heater, an electric torque limiter, a high visibility LED status light, external Din plug connectivity and an industry standard visual dome indicator.